Avid tree people, Storybook If you ever find yourself in a situation when your neighbour's are unhappy with you or your unhappy with them regarding your shared or proximity trees or shrubs Storybook is trained in dispute resolutions. Neighboring Trees, hedges or shrubs can be the source of a disagreement sometimes. If you need help solving a issue or issues concerning your trees or your neighbour's we can help. Poorly maintained trees or unsafe conditions like hanging branches or cracked limbs. Rob Ambeau of Storybook Tree Services is trained in Dispute Resolution and can help bridge the gap and assist to resolve tree related issues that may arise between differing points of view. 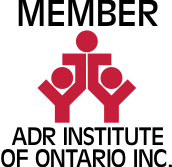 As a graduate of York in Dispute Resolution and a member of the ADR Alternative Dispute Resolution Association he has the ability to help you come to a suitable arrangement that will be a better arrangement then costly litigation. The bottom line is you live close to each other and need things to be civil.